This was the very first thing I tapestry crocheted. My technique may be a little sloppy, but it should improve with practice. You did a fantastic job with that tutorial, we are all a little sloppy when learning a new technique. The main thing is you did it girlfriend and you should feel mighty proud of your accomplishment. Keep up the good work, I look forward to seeing your progress with the technique. 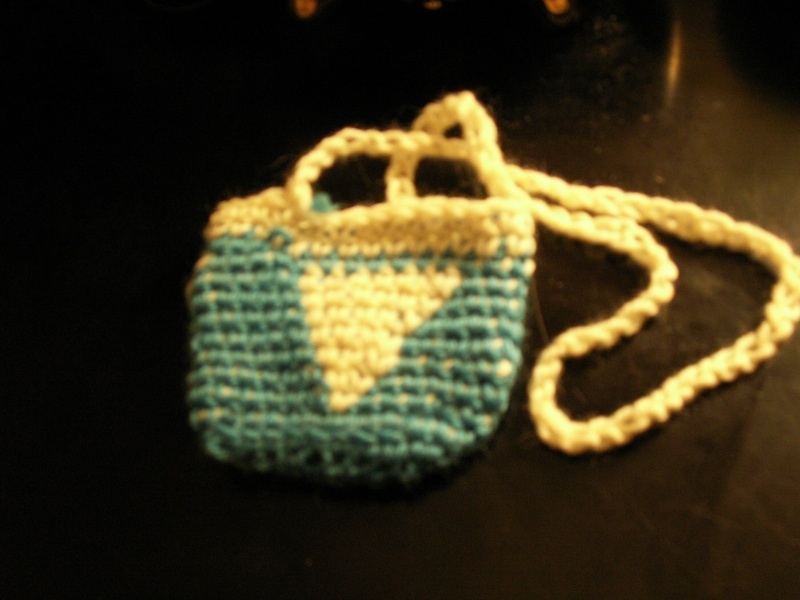 This pouch was primarily a practice piece. I'm looking forward to more!